This sauce adds great flavor to fish, chicken and huevo rancheros. If you like things hot, don’t discard the jalapeño seeds. 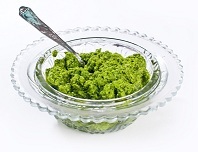 Make your St. Patrick’s Day special with this wonderful green dip. Using cannellini beans as a base and adding raw cashews, kale, and spices, this dip will be the hit of your St. Paddy’s celebration. 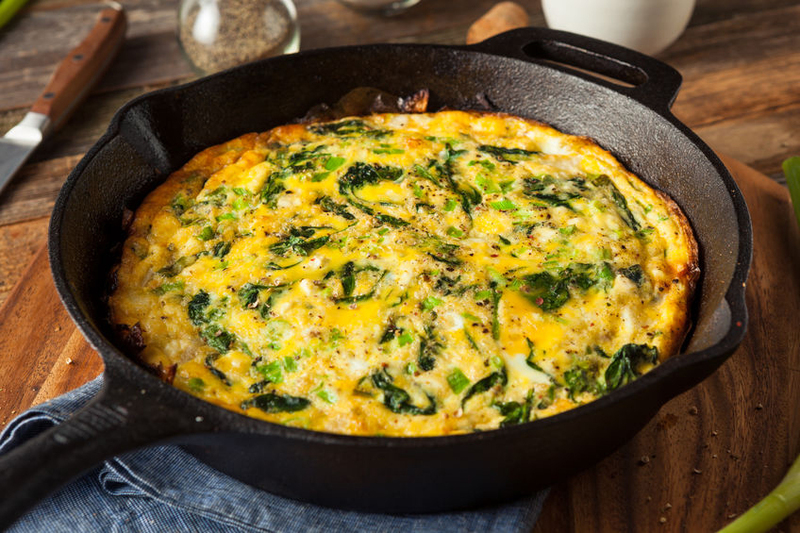 For a special luncheon dish, try this spinach and feta frittata. It’s quite delicious. Serve with a green salad and you have a perfect company dish. 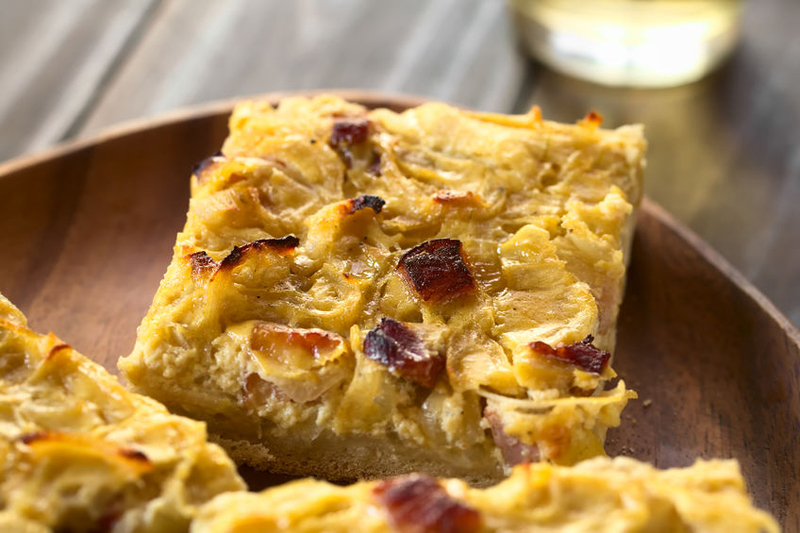 This easy to prepare German Onion Cake can be served as an appetizer or a main course. In Germany, it is traditionally served with a new (still fermenting) wine. 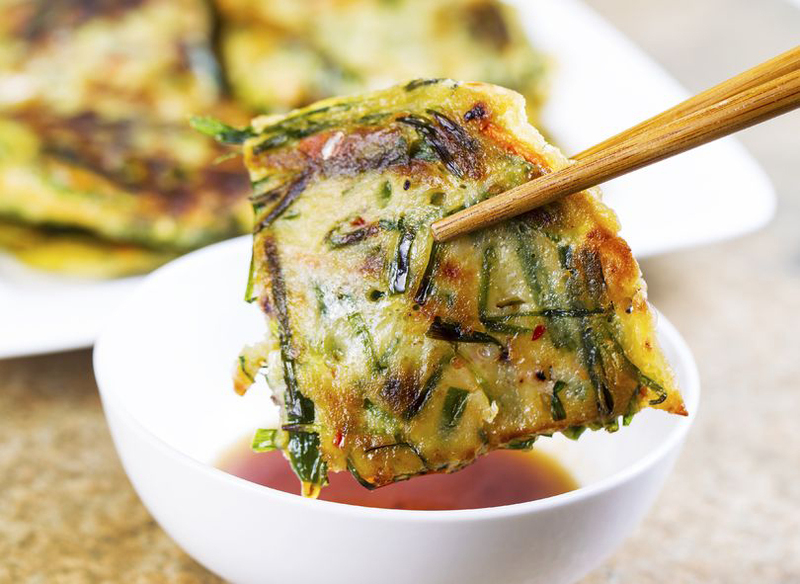 Based on a recipe by Maangchi, these hearty, crispy mung bean pancakes will be an instant hit in your home. Make a big batch and freeze some for later. These remind me of my mother's potato pancakes when they're cooking. 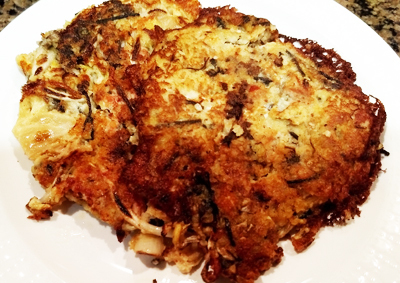 They are a savory pancake and can be eaten either as an appetizer or as an entree. Scrumptious! 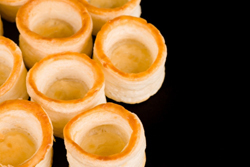 These are directions for making vol au vent from frozen puff pastry dough. These are fun to make and make an impressive presentation. 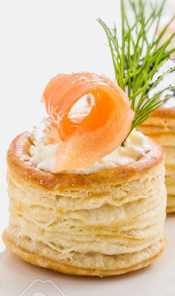 Vol au vent shells filled with whipped cream cheese and topped with a slice of smoked salmon make a unique and flavorful appetizer. Wonderful! 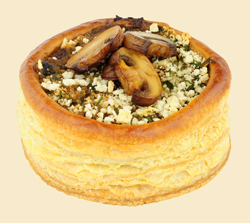 This vol au vent makes a great appetizer. Use a smaller pastry cutter for bite size pieces. They'll disappear quickly. This is one of the easiest and tastiest appetizers you can make. Hardly any calories and everyone loves them. Make plenty, because they disappear quickly. 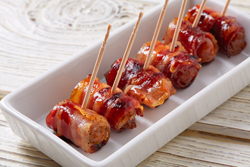 At your next party, serve these delicious appetizers with the spicy sauce accompaniment. They are outstanding and will have people asking for the recipe. 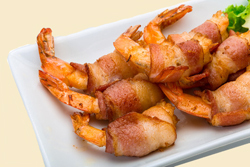 For an upscale treat at your next party, try these marinated bacon-wrapped shrimp. The Olive Wood Smoked Olive Oil and the Aged Balsamic make them pop! 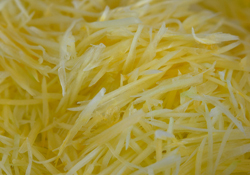 Pickled green papaya is delicious eaten by itself, as an accompaniment to meat dishes (especially pork), or used in a green papaya salad. This is about the easiest dipping sauce you'll ever find. It's sweet and spicy and can be used with any number of different Asian foods you like to dip in sauce. 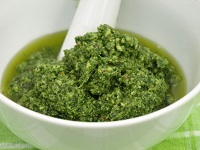 Basil pesto is great on pasta, spread on sandwich bread, mixed with veggies or used in salads for more flavor. You decide how to best use this condiment. 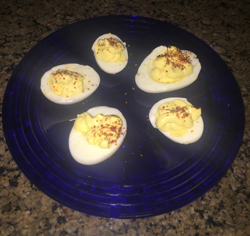 These deviled eggs are made with sour cream and apple cider vinegar or lemon juice to give them the probiotic boost you don't get from mayonnaise. Yum. This is a baked dip recipe. It uses cream cheese, artichoke hearts, Black Truffle Oil, shallots, and is topped with Parmesan. Very easy to prepare, yummy to eat. This is a wonderfully quick supper. Briefly stir-fry the shrimp, thicken the sauce and dinner's ready! Perfect after an all-day Christmas shopping trip. 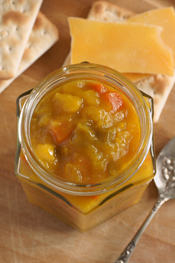 This delicious chutney is great served with any pork dish, served on crackers or toasted baguette rounds as an appetizer. A wonderful starter for any meal. This is a wonderfully refreshing way to serve watermelon. 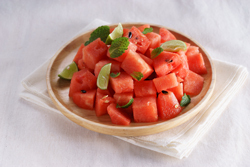 The watermelon can be used as an appetizer or a dessert. Perfect on a hot day! Wonderful dessert or appetizer during scorching hot weather. 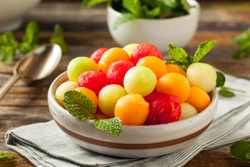 The melon balls soak up the pineapple and liqueur flavors and hit the spot during these hot summer days. 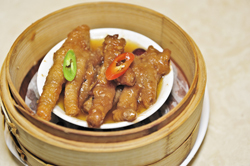 Are you a dim sum afficionado? If so, here is a recipe for you. 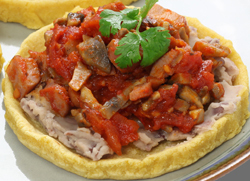 A bit time consuming to create, this delicacy is easy to prepare and delicious to eat! Love Indian food? 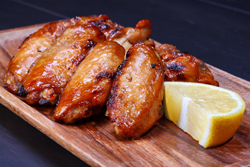 Try this yogurt based marinade for your chicken wings and watch them disappear. 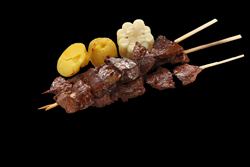 Can be used as appetizer or entree. Either way, a hit! For a quick appetizer, this one can't be beat. 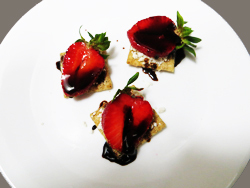 All you need is cheese, crackers and Strawberry Balsamic Condimento, reduced. These shrimp-filled plantain cups are not only beautiful to look at but are a food-fiend's paradise. Everyone will love these! Drop in company? Don't panic. Impress your company with these quick to assemble appetizers. Nobody will guess how simple these are to make! A favorite in Peru and several other South American countries, this dish will surprise you with its "heat" and wonderful slightly peppery and nutmeg taste. 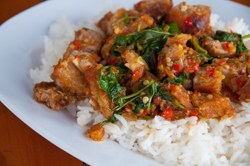 Spicy Thai pork flavored with garlic, red chilis and Thai Golden Mountain Sauce makes an easy, most delicious quick dinner. Blinkchiki or blini are Russian-style pancakes which are really just crepes. 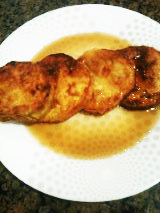 They can be filled with either sweet or savory fillings. 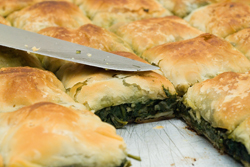 A Greek street food favorite, this baked dish features a filo dough base and topping with a spinach, cheese, eggs, and onion filling. It is wonderful! The pork filling of this Siopoa is flavored with onions, garlic, soy, sugar, oyster sauce, and hoisin and gives a wonderful surprise when you bite into it. This slaw is meant to accompany the Sopes with Chorizo Refried Beans recipe. It could be served as a stand-alone, too. It is hot and spicy and quite refreshing. These sopes have a delicious masa harina base that holds a filling of refried beans with chorizo, a refreshing spicy slaw on top, and chile sauce drizzled over the whole thing. Yumm! For a quick dinner in any season, try Myrna Dake's yummy Asian Lettuce Wraps. Brought to our year-end potluck party, these were a group favorite. Yumm! If you love prawns, this is a wonderful dish that can be served as an entree or as an appetizer. It's so easy, yet so delicious. Everyone loves these prawns! A beautiful and colorful wrap made with Mediterranean lavash flat bread. Filled with shrimp, sun-dried tomatoes and orzo, this is a filling wrap, just right for lunch or light dinner. This adaptation of a Dianne Phillips recipe will become a new favorite. Probably new to most of you, but not difficult to make, try these for a tasty new dish! What an interesting way to wrap an appetizer! The crunchy wrapper and the creamy filling makes for a delightful treat. Be creative: try cheese/nut combinations, too. This eggplant dish makes a wonderful accompaniment to lamb, especially, but will pare well with any other meats, and proved both savory and sweet flavors. 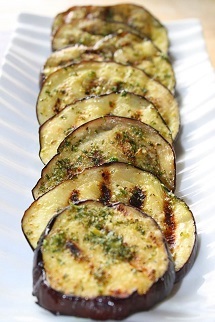 Using our new Neapolitan Herb Dark Balsamic, this eggplant dish packs a punch! We think you'll love the Italian flavors and will enjoy serving it to guests. Try these eggplant fries for a delicious alternative to potato fries. Sprinkled with Honey Ginger White Balsamic at the end, they remind one of English chips. This is our version of a favorite Middle Eastern appetizer. It's so delicious, you might just make a meal of it. Our grape truffle appetizers are a tasty treat for summertime parties. Cool and crunchy, they will pleasantly surprise your guests. 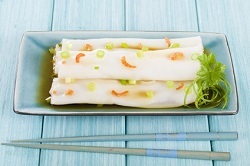 Make your own rice noodles with this recipe. 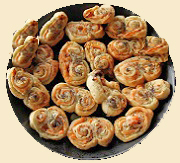 Similar to a crepe but done in the microwave with rice flour, the rolls are thin, translucent and yummy. Fritters with a Greek taste. Feta, dill, and mint make these a delicious side dish to the meat or fish of your choice. For a real treat, try this version of popcorn. You'll never want plain popcorn again. Thanks, Veronica Foods! With an aioli-like consistency but with no eggs, this spread is smooth and rich. Serve as a dip, slather it on toasted bread, or spread it on grilled fish. 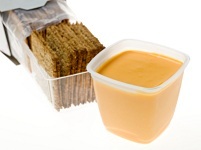 Try our smooth, creamy butternut squash soup. The curry adds a special "fall" taste to the butternut squash and the pear/apple combination. A meal in itself! Having company? 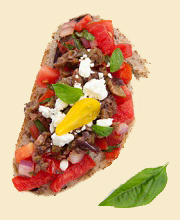 These open-faced sandwiches make a healthy appetizer, substantial yet light. 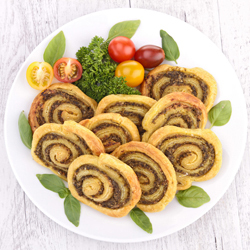 This appetizer is shaped like palmiers but is savory, rather than sweet in taste. The puff pastry rolled up and baked with brie, onions and caraway is delicious. A hot and spicy potato dish that combines Indian and Chinese flavors. This will be a hit with adults and kids alike! Avocado and sunflower seeds make a tastychange from the usual basil/pine nut pesto. Try this on pasta, with cooked veggies, or in sandwiches. Use your imagination! For a delicious take on deviled eggs, try this recipe which is greatly enhanced with the addition of truffle oil. Sumptuous! A wonderful vegetarian dinner for your family. Tasty, spicy, and delicious! 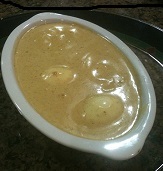 Serve this egg dish over rice or with roti (an Indian flatbread). This dish can be an appetizer for adults or a meal for children. The quail eggs are just the right size for small hands and will delight the little ones. 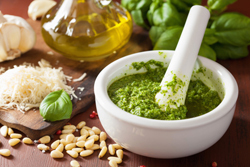 Not to be confused with Mexican salsa, this Italian sauce is full of fresh herbs, capers, lemon, garlic, and anchovy. Delicious on meats, fish and vegetables. 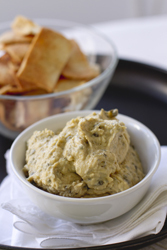 A wonderful party dip with a touch of Middle Eastern flavors. 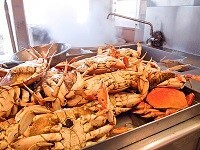 This is a wonderful way to prepare fresh whole crab. 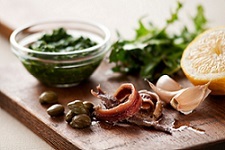 You will delight in the mix of garlic, olive oil and parsley. Eat with fresh sourdough and a glass of wine! Cracked Dungeness Crab with an Asian Twist. Savor the flavors of Honey Ginger and Lemongrass-Mint White Balsamic Condimentos. For a filling breakfast or an easy dinner, try this special crab omelet. Choose from a variety of condiments to make for a uniquely personal omelet. 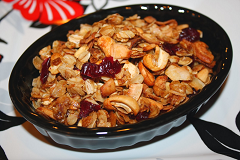 Great for breakfast or a snack, this granola beats anything you can buy in a store. 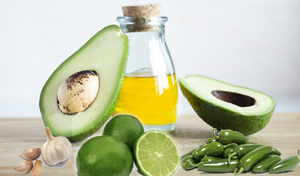 Fresh, healthy ingredients help you keep your New Year resolutions. For a delicious appetizer or a main dish, try our wonderful barbecue-flavored Portobella mushroom quesadilla. It's a keeper! This garlicky fresh mayonnaise goes with everything, from a spread on crunchy toasted French bread, as a dip for vegetables, as a topping for seafood. 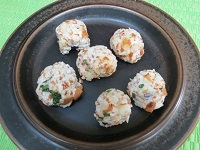 Tasty side dish with chicken or fish. Add a little Mexican flavor to your meal. Looking for a refreshing side dish for those hot summer days. 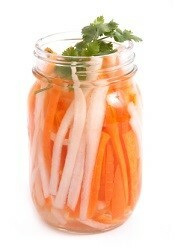 Try these pickled carrots and daikon radishes. Can be used in a variety of ways to add zip to your meals. Spicy with the taste of a BLT. 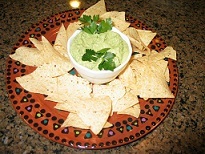 A perfect dip as you watch the sports events of your choice this month with friends and family. 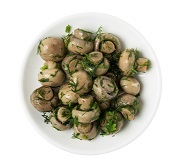 A garlicky mushroom dip. Perfect with vegetables, cubed chicken, bread sticks or chunks of salami. 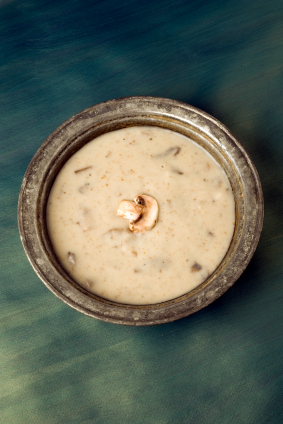 A hearty dip to delight the hungry people in your life. Small bites with a reuben sandwich taste. 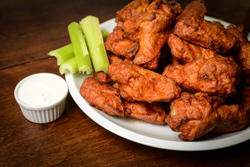 Delicious appetizer for game day! 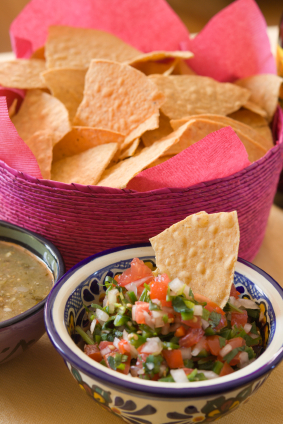 Try our Salsa de Fresa as a dip, a side dish, or a spread. Whichever way you use it, it will delight the senses and bring the freshness of spring to your palate. What could be nicer for lunch, dinner or even as an appetizer than Henrietta Sparkman's Spinach/Broccoli Quiche. Lighter than the usual quiche but just as delicious! 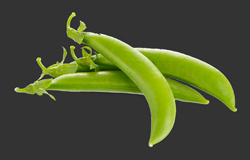 Eat the whole pod or pop the beans out to eat.....either way you end up with a delicious, citrusy snack or side dish. Freeze our Organic Butter Olive Oil and it will behave like butter. 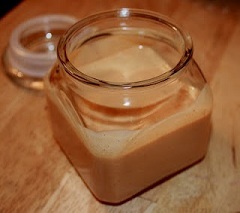 Use in our savory pie crust recipe and fill with your favorite pot pie filling. 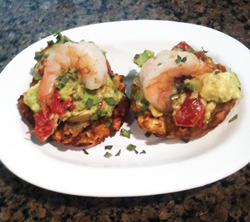 Looking for a tasty, healthy, low-cal snack that isn't full of strange ingredients? Try our healthy garbanzo bean snack. Delicious and good for you. A cheese spread with a little zip. Best spread on crackers, rye bread and/or apples. A great Irish treat! Looking for a dip that's not heavy on the sour cream? Try this easy, refreshing dip that's perfect with tortilla chips, pita crackers, or spread on pita bread triangles. Healthy spread for your holiday parties. 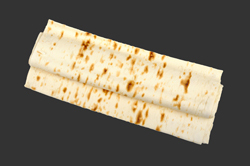 Use on crackers, pita bread, or baguette slices. Great for dipping veggies, too. Delicious quesadillas filled with pumpkin and Jack Cheese. Great for lunch, dinner or cut in wedges for appetizers. 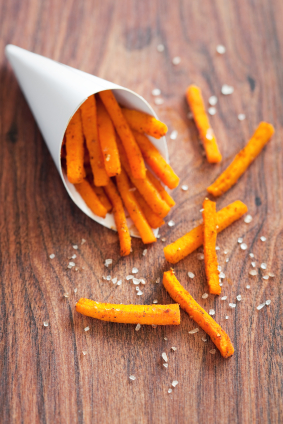 Pumpkin fries, either savory or sweet, low in calories, nutritious and easy to make---these will become a fall staple in your home! 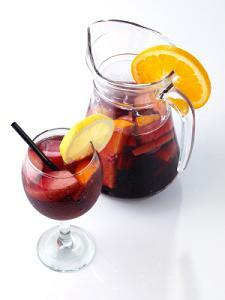 Refreshing, cold wine drink. Great for a large party. Peanut butter without the usual harmful additives. This is the healthiest peanut butter you can eat!! Do-it-yourself proportions make for a creative appetizer. Rosemary flavored focaccia bread is a delicious accompaniment to soup or your main meal. Use as appetizer, too. Hot, spicy and yet refreshing, a tasty appetizer to serve before your main meal. A wonderfully unique appetizer for your next party. 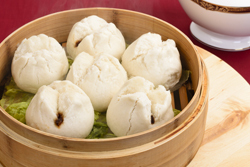 Refreshing cold appetizer or main meal for a hot day. 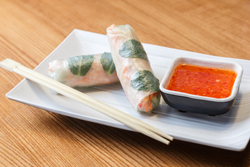 Serve with satay or peanut sauce. 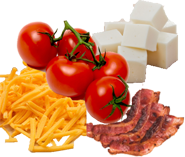 A classic and simple appetizer with light and savory flavors that is also versatile to use FS17, Ultra Picholine, or Ultra Picual EVOO to your taste! An easy spread for crackers, pita bread rounds cut in eighths, or baguette bread slices. 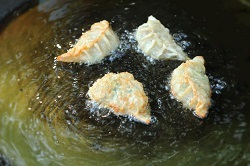 Salmon filled pastry puffs with spicy flavor of horseradish. Wonderful way to start a party! 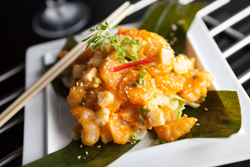 Just the thing to start your party....a spicy, citrus cashew appetizer!